■ Reliable and reproducible real-time intraoperative visualization, without radiation exposure, is a definitive advantage of laparoscopic ultrasonography. 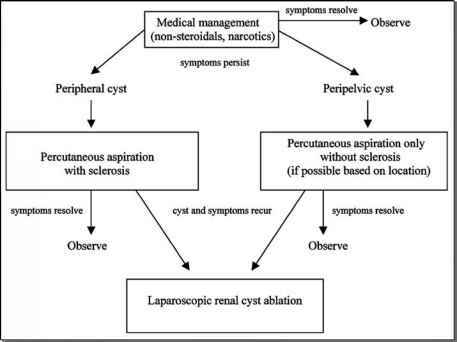 ■ There is evidence that laparoscopy in combination with laparoscopic ultrasonography results in better outcomes in laparoscopic surgeries such as nephron-sparing surgery, adrenalectomy, decortication of symptomatic renal cysts, marsupilization of difficult pelvic lymphoceles,or renal stone surgery. ■ With increasing experiences in minimally invasive, ablative, functional-sparing, or reconstructive procedures, the role of intraoperative ultrasound is likely to expand.